What kind of Christian are you? Some sources report that there are as many as forty thousand different Christian denominations throughout the world. With such division and fragmentation, it is a wonder that the Church even knows who it is, much less survives the dangers and darkness that are constantly assailing it. But even amidst this brokenness, unity prevails. Just as the triune God is three distinct persons, Father, Son, and Holy Spirit, and yet one God, so too, believers, though divided into many parts by doctrine and denomination, are made one in Christ Jesus our Lord. 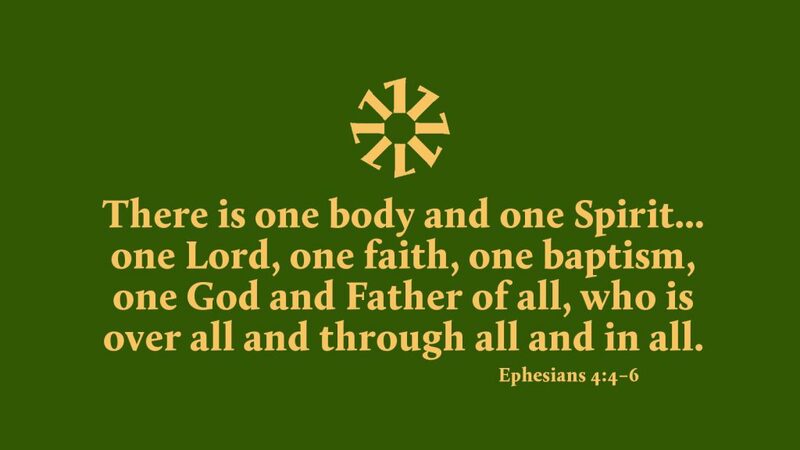 Saint Paul writes that there is “one Lord, one faith, one baptism, one God and Father of all, who is over all and through all and in all” (Eph 4:5-6). It is this unity of the Trinity, into which all believers are baptized, that defines and binds the Church together. Apart from the life and light of our triune God, the Church would cease to exist. But by God’s grace, the body of Christ and all its various parts, the church, will continue to grow and thrive, being built up by love and held together as one in the unity of the one true God. Prayer: Father, Son, and Holy Spirit, just as you are one, bind all believers together as one that in your unity, we may continue to faithfully reflect your life and your light. Amen.